FR Systems use one of the biggest online registration companies in Europe which allows us to offer organisers another totally bespoke service. 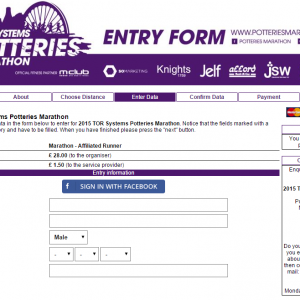 Online entry has the capability to register all of your entrants for your event, along with being able to provide fast and secure payments through its fully integrated payment system using SSL security. You don’t need technical knowledge, as part of our service we will set the system up as per your requests. If there are any queries with the system then there is no need to fear as dedicated staff will be on hand to provide support. Through the use of tailored reports, race organisers can select the facts and figures they want. The versatility of our online registration system is vast as you can tailor your online entry page to include logos, titles, branding, etc… also a useful tool to keep your all-important sponsors happy.